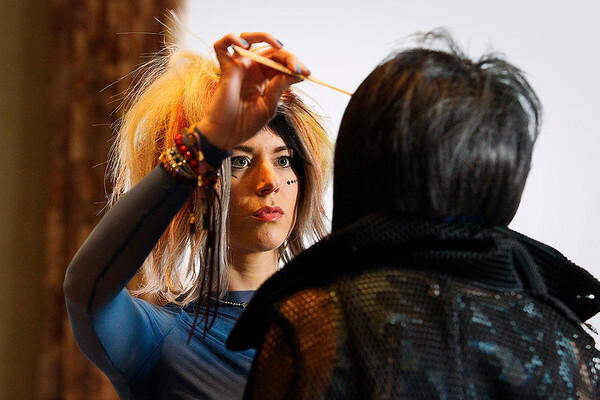 Emily Molnar, left touches up Lindsay Ryon before the two walk the runway for Impres Salon Spa in Saturday's Global. Art. Fashion. Hair show at the Grand Traverse Resort and Spa in Acme.